In today’s world, the information technology revolution is changing with each passing day. In contemporary China, the development of the network business has advanced by leaps and bounds. From mobile payment everywhere to new high-level online transaction volume; from the nationwide e-government system to the booming big data industry… General Secretary Xi Jinping’s important speech on network security and informationization work published two years ago, China’s online letter With the rapid and healthy development of the business, the Internet has increasingly become an important driving force for national development, and the digital field has continuously achieved leap-forward development. Under the guidance of the strategic blueprint for the “two hundred years” struggle goal, China, which is opening a new era, is striding towards a new journey of network power. 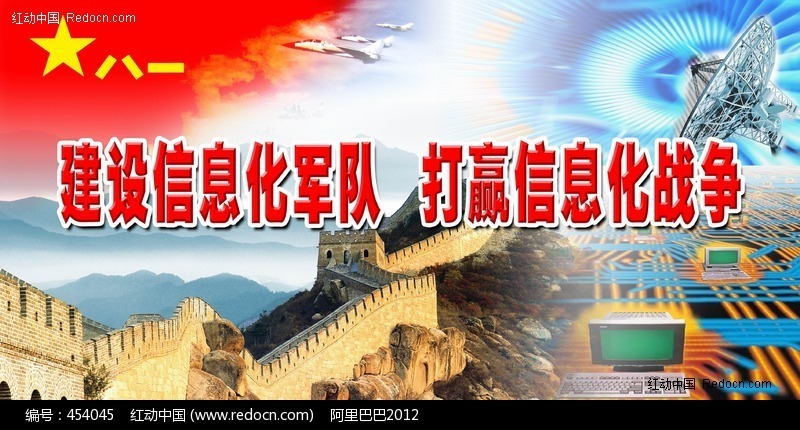 In March 2018, the “Deepening the Party and State Institutional Reform Plan” issued by the Central Committee of the Communist Party of China opened a new chapter in the national network letter business – the Central Cyber ​​Security and Informatization Leading Group was changed to the Central Cyber ​​Security and Informatization Committee, responsible for Top-level design, overall layout, overall coordination, overall promotion, and supervision and implementation of major work in this field. This is the far-sightedness of the Party Central Committee with Comrade Xi Jinping as the core of the national network letter, and it is also the implementation of the important speech delivered by General Secretary Xi Jinping at the symposium on cybersecurity and informationization. Since the 18th National Congress of the Communist Party of China, General Secretary Xi Jinping has accurately grasped the general trend of the times, actively responded to the requirements of practice, deeply examined the major changes in the main social contradictions, and issued a series of important speeches on the development of the network business, clearly proposing the strategic thinking of the network power. ——Investigating the profound changes in the global Internet governance system, General Secretary Xi Jinping proposed “four principles” and “five points of proposition”, calling for “the Internet is invisible, but the people who use the Internet are tangible, and the Internet is the common home of mankind. It is the common responsibility of the international community to make this home more beautiful, cleaner and safer. New ideas lead new practices, and new strategies open up new journeys. Under the strong leadership of the Party Central Committee with Comrade Xi Jinping as the core, a colorful network of powerful powers is slowly unfolding. ”Party committees and governments at all levels should strengthen Internet thinking, be good at using the advantages of the Internet, and focus on integrating, sharing, facilitating, and security, promoting scientific decision-making in government, refining social governance, and improving the efficiency of public services. Perceive the social situation, open communication channels, assist decision-making and governance, and facilitate the masses to do things. On April 13, 2018, General Secretary Xi Jinping made important instructions during the inspection of the Hainan Provincial Government Affairs Data Center, once again in order to speed up the development of big data and use information technology to point the way. Without informatization, there is no modernization. General Secretary Xi Jinping’s important speech on cybersecurity and informatization work has been published for two years. All localities and departments have kept pace with the times, pioneering and innovating, and introduced a series of new policies and new measures to promote the cause of major strategic opportunities in the network letter industry and usher in new Development, new leap. ——Continuously strengthen the top-level design, and the information development will add institutional guarantee. 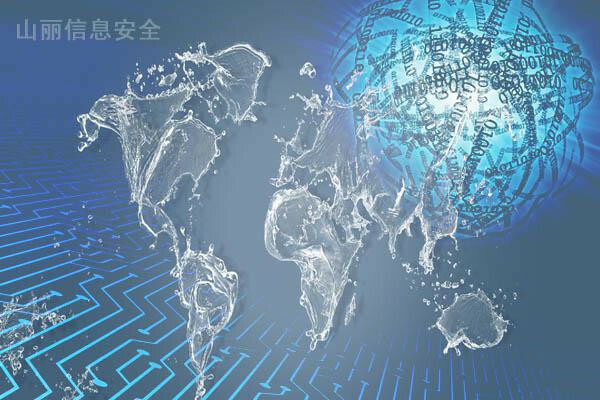 The Outline of the National Informatization Development Strategy was published, which depicts the development of digital China’s construction in the next 10 years, and clearly sets a clear timetable and roadmap for the construction of a network power. The “13th Five-Year National Informationization Plan” was released. It is proposed to achieve significant results in the construction of digital China as the overall goal of China’s informatization development. In the past two years, the informatization development strategy, the national big data strategy, and the “Internet +” action plan have been frequently deployed, and the foundation of the network is solid. ——The infrastructure is more perfect, and the digital development paves the way. In 2017, the length of new optical cable lines in China was 7.05 million kilometers. The total length of national optical cable lines reached 37.47 million kilometers, an increase of 23.2% over the previous year; the number of Internet broadband access ports reached 779 million, an increase of 9.3%. The Action Plan for Promoting the Scale Deployment of the Internet Protocol Version 6 (IPv6) was issued and implemented, and the scale of IPv6 deployment was comprehensively improved. As of December 31, 2017, the total number of IPv6 address allocations in China was 23,430 (/32). In the past two years, the quality and coverage of mobile network services have continued to improve, and the development of next-generation Internet has shown great prospects. – Internet innovative social governance tools, e-government work into the fast lane. Innovative services to benefit the people. The data shows that the current total number of government websites in the country is nearly 32,000; the new government media has become a new channel for communication between the public and the public. In December 2017, the Central Network Information Office and other departments jointly launched a two-year national e-government comprehensive pilot project in eight provinces including Beijing, Shanghai and Jiangsu to explore the development of e-government development experience that can be used for promotion, and more convenient and efficient e-government experience. Just around the corner. Take the matter at any time, make meritorious deeds from the capital, and profit from the power of all things. The 19th National Congress of the Communist Party of China formulated a blueprint for the development of a new era, and proposed to build a network power, digital China, and a smart society, promote the deep integration of the Internet, big data, artificial intelligence and the real economy, develop the digital economy, share the economy, and foster new growth. Point, form new kinetic energy. In Zhejiang, the digital economy, which is dominated by software services, Internet of Things, cloud computing, and big data, has exceeded 10 trillion yuan for three consecutive years. In Guizhou, where poverty alleviation is the main battlefield, big data has become one of the three development strategies. Its economic growth rate has been in the forefront of the country for seven consecutive years. A series of data and an item of results reflect a series of historical achievements and historic changes in the digital development of China in recent years. Let hundreds of millions of people gain more sense of sharing the Internet development achievements, and build a strong power for building a network power. At the end of each course, Zhang Fan, an online training teacher, will carefully review the “Magic Mirror System” analysis of the students’ class status and adjust and optimize the teaching plan accordingly. Through this system, the camera captures the classroom state, such as raising hands, practicing, listening to classes, speaking, etc., and even facial expression changes at any time. Through multi-dimensional measurement of data, a unique learning report for each student is generated. With the help of digital technology, the goal of “there is no education, teaching students in accordance with their aptitudes”, which is the sage of the past dynasties, is now entering an ordinary life. New products from the Internet have emerged, and digital technology has turned people’s imagined new life into reality. From the introduction of the network security law to the new stage of legal governance, to the digital economy, the “big artery” is more smooth… The world of the people of the world is more colorful because of the Internet, and the lives of the people are more abundant because of the Internet. Promoting the development of the Internet and making good use of the power of the Internet are the basic projects that promote social progress and enhance people’s well-being. Liuyu Village is located in the selenium-rich area of ​​southern Meizhou, Guangdong Province, and has a long history of growing tea. However, due to the remote location, poor traffic and information, the sales of tea has not been opened. Since the staying tea has been stationed in the Guangdong mobile e-commerce informationization poverty alleviation platform to achieve online sales, the problem of slow sales of tea has been solved. In the past year, the tea sold by the “Lingnan Life” platform has reached 6,000 kilograms, and the single-day sales order has reached a maximum of 1423. Statistics show that in 2017, China’s digital economy reached 27.2 trillion yuan, accounting for 32.9% of GDP; e-commerce and online retail continued to grow, e-commerce promoted the steady expansion of rural consumption, and rural consumer infrastructure such as logistics, telecommunications, and transportation. further improvement. ”Adhere to the people as the center”, digital development is constantly satisfying people’s yearning for a better life, and the people have more sense of gaining in sharing the development of the Internet. In just over 20 years, starting from a network cable with a network speed of only 64 kilobits per second, China now has 700 million netizens and more than 4 million websites. It has built the world’s largest 4G network, and the scale of online retail transactions has jumped. The world’s first… a series of “great”, witnessed a slap in the face of a network power to the network power. In just two years, from the speed increase and decrease of the network to the implementation of the Cyber ​​Security Law, from the continuous hosting of the four World Internet Conferences to the Alibaba Cloud Data Center, which covers the major Internet markets in the world, a series of “big-handed” highlights China’s move to a network powerhouse. Determination and confidence. The construction of digital China is an important measure to implement the internship General Secretary General Ping Ping’s strategic thinking on network power. It is an effective way to adhere to the people-centered development thinking and continuously enhance the people’s sense of acquisition. It is an inevitable requirement for seizing development opportunities and accelerating the modernization process. This is an urgent call for the new era, and it is a firm declaration of China in the new era. Under the strong leadership of the Party Central Committee with Comrade Xi Jinping as the core, the development of China’s network information industry will surely take greater steps in the construction of a network powerhouse, and create a more awkward innovation for the Chinese dream of building a well-off society in an all-round way and realizing the great rejuvenation of the nation. power. The cyberspace was born in the military field. For example, the first computer, the APA network and the GPS navigation system all originated from the military. Today, cyberspace security has been closely related to national security, and the military has once again become the protagonist of maintaining national cyberspace security. Whether facing normalized network penetration or large-scale cyberattacks, it is urgent for the military to move from guarding the “network camp gate” to guarding the “network country gate”, breaking through the traditional military missions and missions, and breaking through the traditional war preparation mode. With a new network of national defense thinking, the founding of the network era of the country’s strong shield. Cyberspace is not only related to the maintenance of national strategic interests, but also directly affects political, economic, cultural security and social development. It has also become the blood and link of modern battlefield joint operations. The Chinese military cannot be limited to maintaining the internal network security of the military camp. It must also actively adapt to the trend of the times and take the responsibility of the country that guards the “network country.” Network strong army is an important part of the construction of a network powerhouse. From the “network camp door” to the “network country door” is the inevitable trend of the development of the domestic and international situation in the information age. 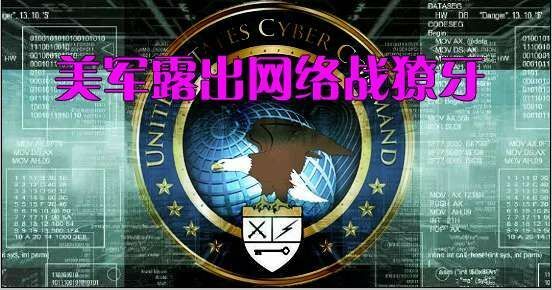 Guarding the “network country door” is forced by the cyberspace security situation. As the first big Internet country, China’s security situation is not optimistic, and strategic opponents have never stopped preparing for our network operations. The United States, Britain, France and other countries are actively preparing for cyberspace, giving military functions through cyberspace security legislation, developing cyber warfare forces, developing cyber warfare weapons and equipment, and advancing war to the “fifth space” of mankind, especially in China. In the historical process of the rise, under the leadership of the Cold War mentality and the containment subversion strategy, Western countries have used network technology and communication methods to implement uninterrupted harassment, subversion and cyberattacks, seriously affecting China’s national security and social development, and China has gradually become The hardest hit by cybersecurity threats, the test sites for virus attacks, and the destinations of conscious penetration, national security faces enormous risks. In the coming period, as a new emerging country, China’s conflicts of interest with other parties will intensify. Firmly promoting the network defense strategy and strengthening the operational preparation of cyberspace are the inevitable ways to actively strive for the dominance and discourse power of cyberspace, and also the rise of China. The only way to go. As the main force of national security and stability, the military must adapt to the characteristics of cyberspace characteristics, become the backbone and main force to resist network intrusion and network subversion, and safeguard national security and social stability. Winning cyber warfare is the trend of new military revolution in the information age. As one of the most advanced productivity in the information age, network technology has made cyberspace warfare a leading factor in guiding the evolution of modern warfare and affecting the overall situation of war. In recent years, from the “seismic net” attack in Iran, the cyber warfare in the Russian-Georgian conflict, the large-scale obstruction of the Ukrainian power grid, and the cyberattack of the US military against IS, the huge role played by cyberspace in actual combat has gradually emerged, indicating that cyber warfare Has become an important style of future joint operations. The US military attaches great importance to the construction of cyberspace armaments, the establishment of the cyberspace command, the launch of cyberspace joint operations, the extensive expansion of cyber warfare forces, the maintenance of its cyberspace hegemony, and the formation of cyberspace control capabilities as a “third offset strategy”. “Absolute advantage is the most important competitive content. Many countries in the world have followed suit, and the trend of militarization of cyberspace is obvious. The rigorous cyberspace military struggle situation requires the Chinese military to focus on the changes in the network battlefield space, adapt to the requirements of the information war era, and achieve the strong military goal of smashing and winning in cyberspace. Effective network warfare is an intrinsic need to accelerate the construction of a network powerhouse. In the process of China’s development from a network power to a network power, it is inseparable from the strong cyberspace military power as a guarantee. The international competition in cyberspace is a comprehensive game of the country’s comprehensive strength. Among them, the quality of network military capacity building is directly related to national security and stability, and it is the core element of the entire national security field. At present, the interests of countries in the world in the cyberspace are mutually infiltrated, and there is a situation in which you have me, I have you, cooperate with each other, and develop together. However, this kind of common development is not equal. The US and Western powers have taken advantage of the cyberspace dominance and have already achieved certain network warfare advantages, which has made my network development and interests subject to people. How can the military fulfill its mission of defending the earth in the construction of a network-strength country? The premise is to form a network environment that can contain the crisis and control the opponent’s network attack and defense capabilities and ensure peaceful development. Therefore, the military needs to establish a deterrent strategic goal of effective warfare, form a strategic check and balance ability that can “destroy each other” with the enemy, thereby enhancing strategic competitiveness, ending cyberspace aggression, and ensuring the smooth advancement of the network power strategy. From “keeping the soil to the responsibility” to “protecting the net and defending the country”, the new situation requires the military to undertake new tasks. The military is the main force and pillar of national security, and cyberspace is no exception. The National Security Law, which was enacted on July 1, 2015, stipulates: “Citizens of the People’s Republic of China, all state organs and armed forces, political parties and people’s organizations, enterprises and institutions, and other social organizations have the responsibility to safeguard national security. And obligations.” The Cyber ​​Security Law, promulgated in November 2016, emphasizes the need to maintain cyberspace sovereignty and national security. On the basis of the laws of these two countries, on December 27, 2016, the National Cyberspace Security Strategy (hereinafter referred to as the “Strategy”) was officially launched, providing overall guidance for creating a new pattern of network powers at a new starting point. Basically follow, clearly put forward nine strategic tasks, further embodying the mission of the military in the process of building a network power. With the national mission of protecting the network, the military must be a strong pillar to defend the cyberspace sovereignty. The first of the nine strategic tasks listed in the “Strategy” is “firmly defending the cyberspace sovereignty” and clearly proposes to “take all measures including economic, administrative, scientific, technological, legal, diplomatic, military, etc., and unswervingly maintain our network.” Space sovereignty.” It can be seen that the military must assume the military mission of using physical space and defend the national mission of the sovereign security and interests of virtual cyberspace. Cyberspace sovereignty is the core interest of the state and an important component of national sovereignty. It indicates the independence, equal, self-defense and management power of the state in cyberspace. Once the hostile forces violated my cyberspace sovereignty, it would be equivalent to infringing on the national sovereignty of the physical space such as land, sea and air. China will have the right to take all measures including military means to give a firm response. Internationally, the United States has long proposed a cyberspace deterrence strategy, declaring that attacks on US network information facilities are equivalent to war acts, and the United States will take military strikes to retaliate. Military means are the means of safeguarding national sovereignty and play a vital role in safeguarding national cyberspace security. Therefore, the military, air, sea and air military forces have been given the historical mission of protecting the cyberspace sovereignty. They must rely on the powerful physical space to defend the national interests of cyberspace and effectively deter the hostile forces from cyber-damaging attempts. In accordance with the era of the Internet, the military must be the ballast stone to defend national security. The second item of the “Strategy” mission emphasizes the need to resolutely safeguard national security, prevent, deter and punish any use of the Internet for treason, secession, sedition, subversion or incitement to subvert the people’s democratic dictatorship. In the era of information network, the military of all countries in the world has become an important participant in cyberspace. The level of cyberspace capability has become the main indicator for assessing the modernization of a country’s military. It is one of the main duties of the informationized military to carry out cyberspace missions and maintain national security. Judging from the historical process of China’s development, it is necessary to be highly vigilant against the danger of the country being invaded, subverted, and divided in cyberspace in order to adapt to the national security strategy needs of building a well-off society in an all-round way. Highly alert to the reform caused by cyberspace. The danger of developing the overall situation is destroyed, and we are highly wary of the danger of interference and destruction in the development of socialism with Chinese characteristics. Preventing problems before they occur requires the state to have the means to cope with and deal with these risks, and to have the powerful force to prevent, stop and legally punish cyberspace violations. Defending the country has always been an unshirkable historical responsibility of the military. The inherent mission and mission have determined that the Chinese military must assume the role of taking various measures in the cyberspace to safeguard the country’s political, economic, cultural security and social stability. The strategic mission of both offensive and defensive, the military must be a strong backing to enhance the ability of cyberspace protection. 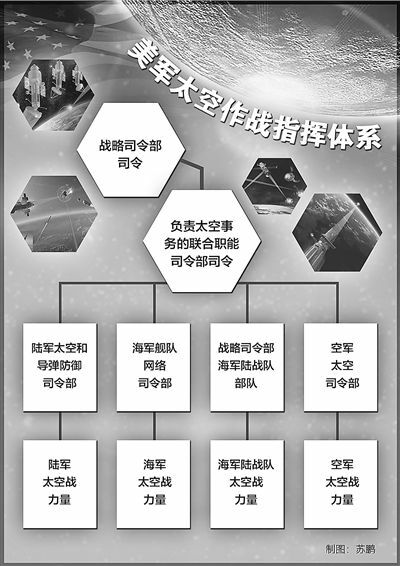 The third and eighth items of the Nine Major Tasks in the Strategy clearly state that all necessary measures must be taken to protect key information infrastructure and its important data from attack and destruction, and that technology and management should be adhered to, protected and shocked; We will build a network space protection force that is commensurate with China’s international status and adapts to the network power. We will vigorously develop network security defense methods, timely discover and resist network intrusion, and build a strong backing for national security. Among all the political, diplomatic, military, and scientific and technological capabilities of the country to maintain security, military power has always been the foundation and support for all capabilities, the fundamental guarantee for all capabilities, and the ultimate support for national security. Therefore, the military must undertake the strategic task of strengthening the national cyberspace protection capability. In the real society, the military is the reassurance of safeguarding national security, and it should also become the security dependence and guarantee of the people in cyberspace. As an important part of the national cyberspace protection capability, the military must achieve both offensive and defensive capabilities and a unified warfare. It has the ability to resolutely safeguard the interests and security of the country and the people in cyberspace, and effectively eliminate the various crises caused by cybersecurity threats. The turbulence of thoughts enables the people to truly feel that production and life are effectively protected and become the confidence of the people of the whole country in their confidence in the national network protection capabilities. With the global responsibility of UNPROFOR, the military must be an important support for maintaining global cybersecurity. The last item of the “Strategy” mission clearly proposes to strengthen international cooperation in cyberspace, support the United Nations in playing a leading role, promote the development of universally accepted international rules on cyberspace, international anti-terrorism conventions on cyberspace, and improve the judicial assistance mechanism against cybercrime. International cooperation in the areas of policy and law, technological innovation, standards and regulations, emergency response, and protection of key information infrastructure. Cyber ​​terrorism and cybercrime are new forms of global threat catalyzed by information network fermentation. They pose a huge threat to the political, economic, military and cultural security of all countries in the world. It is not enough to rely solely on the power of the government and the people. Western countries have given the military the responsibility to protect cybersecurity and the power to fight cyber terrorism. Maintaining the security and stability of global cyberspace is in the fundamental interests of China and the rest of the world. The military should become an important defender of global cyberspace security and an important force in combating global cyber terrorism and cybercrime. The globalization and unbounded nature of the Internet determine the international demand for combating cyber terrorism and transnational cybercrime. The military should promote military cooperation in network governance between countries under the framework of the UN Security Council, and use the strategies and technologies of the network era to establish joint defense and joint defense. Mechanism to effectively safeguard the security of the national and world cyberspace. Under the new historical situation, cyberspace puts forward new requirements for the military training and preparation mode. It should adapt to the new characteristics of cyberspace and the new mission of the military to carry out innovative reforms on the traditional model, and take the goal of strengthening the country and strengthening the military as the overall plan, and strengthen macro-coordination. Focusing on the legal needs of military operations in cyberspace, it closely follows the natural attributes of the “military and civilian integration” of cyberspace, builds a network security attack and defense system that combines peacetime and warfare, and builds a network defense force of “military and land use”. Legislation empowerment provides a legal basis for the military to carry out its functional mission. The countries of the world, especially the western developed countries, attach great importance to the issue of network defense in cyber security legislation. The United States has successively issued a series of policies and regulations such as “National Security No. 16 Presidential Decree”, “Network Space Action Strategy”, and has continuously deepened and standardized on how to protect national network security in the field of network defense. 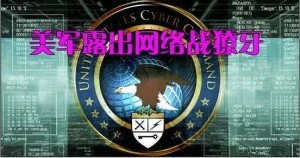 At present, it is necessary to clarify the duties and responsibilities of the cyberspace military from the legal level. It should be based on the National Security Law and the Cyber ​​Security Law, and introduce the network defense law and related cyberspace military operational regulations, for the construction of the network defense field and the military. The action provides regulatory support and a program of action to make the military’s responsibilities and mission in cyberspace more specific and specific. First, through network defense legislation to further define network sovereignty and network frontiers, clear the scope of the military’s responsibilities. The second is to establish the operational authority of the military to defend the national cyberspace security through the construction of cyber warfare laws and regulations, and to distinguish military means against network intrusion and network destruction. Third, through the cyberspace international cooperation policy, the military will coordinate with other countries and civilian forces to combat international cyber terrorism and cybercrime. The integration of military and civilian provides an innovative driving force for the construction of a network powerhouse. The integration of military and civilian is the main practice for the world powers to enhance the competitiveness of cyberspace. For the construction of China’s network powerhouses, building a military-civilian network security attack and defense system and developing a military-land dual-use defense information infrastructure is to inspire the innovation of military cyberspace combat capability. Source. The second is to issue guidance on the in-depth development of cybersecurity military-civilian integration as soon as possible, and gradually carry out basic legal research and demonstration of military-civilian integration to guide the development of medium- and long-term military-civil integration. Third, relying on the country’s existing public mobile communication network, optical fiber communication network and satellite system, the military and civilians will jointly build an information infrastructure covering the entire army of the whole country, and realize the unified construction and sharing of military and civilian. The fourth is to establish an emergency response mechanism for military-civilian joints, increase the ability to train military authorities to control events, strengthen experts and emergency professional strength, and enhance the ability to quickly recover damaged networks or information systems. Military-civilian joint training provides a practical environment for the generation of cyberspace military capabilities. The military-civilian sharing characteristics of cyberspace make military-civilian joint training an important means of military training in cyberspace around the world. The United States and NATO countries and other cyberspace joint military and civilian exercises have formed a series of, “network storm” and “network guards” and other exercises have attracted the participation of the government, enterprises, research institutions and even civilian hackers. Our military cyberspace military strength training also needs to attract a wide range of civil forces to participate. First, do a good job in military and political cooperation, establish a military-civilian joint offensive and defensive drill mechanism, learn from the red-blue confrontation training methods in cyber warfare drills in developed countries such as the United States, actively build a “national network shooting range”, plan a series of joint exercises of the government and non-government organizations, and enhance the integration of military and civilian. The level of attack and defense of the network of the government and the people. The second is to do a good job in military-enterprise cooperation, relying on net-based enterprises to set up a training field on the Internet, to promote the ability of the military and civilians to attack and defend, and jointly improve the ability to prevent unknown risks. The third is to organize private network security companies and hacker talents, carry out network security competitions and other activities, and verify each other to jointly improve the level of network security protection technology and tactics. The network reserve service provides a source of strength for building a powerful network army. As a backup supplement to the national defense force, reserve service has both military and civilian characteristics and is a powerful measure to realize the organic unification of cyberspace economic development and national defense construction. First, it is led by the national security department, and overall planning is carried out according to national interests. A series of laws and regulations conducive to the construction of the network national defense reserve are introduced. From the top level, the main division of labor, promotion strategy, interest coordination, etc. of the military and civilian construction in the network defense reserve construction are solved. problem. The second is to innovate the reserve organization and comprehensive coordination mechanism, and plan to integrate the reserve construction into all levels and fields of national network information development. The third is to focus on the reform of the military and local management modes. Based on the management mechanisms of the provincial and municipal governments, the military, and local enterprises and institutions, establish a network of national defense reserve personnel to jointly cultivate and use the mechanism, improve the national emergency mobilization mechanism, and establish a national network defense special talent. The database will include the construction of network militia and reserve forces into the scope of mobilization of the people’s armed forces. In normal times, they will be incorporated into the militia emergency detachment for training. In an emergency, select the capable personnel to participate in the non-war military operations missions, and the wartime will be recruited according to the requirements. To transform the national defense potential into national defense strength. Strategic support forces are not logistical support or more powerful than the Rockets. 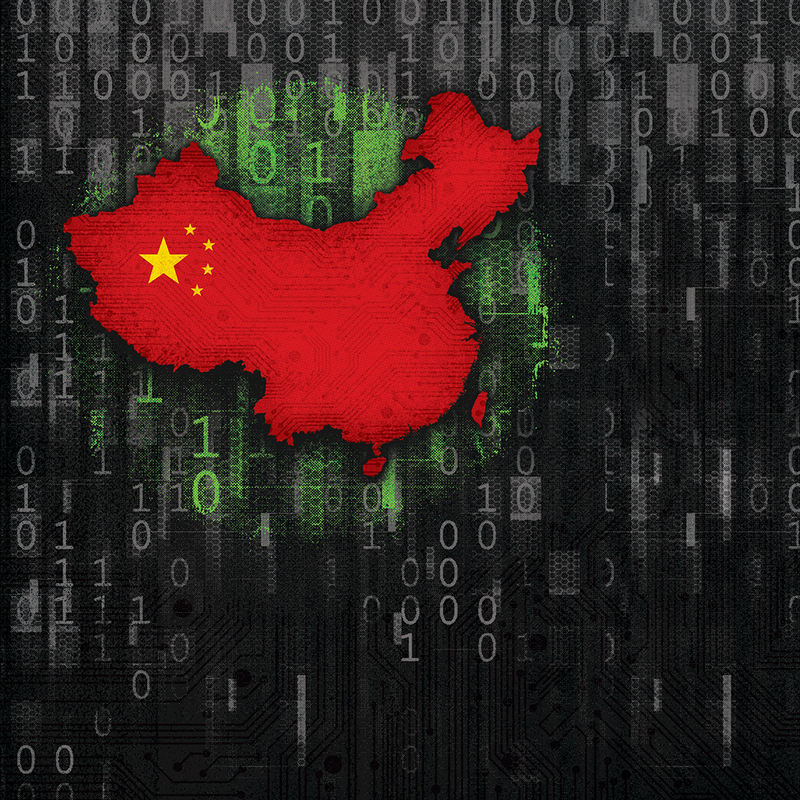 Three tears on, how effective has China’s SSF become in the realm of cyber warfare? Abstract: On December 31, 2015, the PLA Army Leadership, Rocket Army, and Strategic Support Forces were established. Xi Jinping, General Secretary of the CPC Central Committee, President of the State Council, and Chairman of the Central Military Commission, awarded the newly established three major units. The major steps marking the reform of the PLA’s army are beginning to be gradually implemented. Among the three new units, the strategic support force is definitely a brand new name, which naturally raises many questions. What kind of force is this? The newly established three units, the Army’s leading body is also the Army’s headquarters. The former PLA has always been the army’s boss. The mainland’s thinking is deeply rooted. Therefore, only the navy and air force headquarters, and no army command, the top leaders of the army are all from The army, the head of the navy and air force ranks among the members of the Central Military Commission, and it is more symbolic. The establishment of the Army Headquarters now means that the status of the Army will gradually be lowered and will be consistent with other services. This will lay the foundation for the model of the highest military leadership in the rotation of the heads of the Western military in the future, and further strengthen the synergy for the various services. The conditions. The Rockets are no strangers to military fans. They are the former Second Artillery Corps, which is essentially a strategic missile force. The strategic missile unit of the former Soviet Union was called the Strategic Rocket Army. When the PLA established the strategic missile force, the international situation was surging. For the sake of low-key restraint, Zhou Enlai proposed the name of the Second Artillery. Now renamed the Rocket Army, the name is more prestige, more directly strengthen the significance of strategic deterrence. Relative to the above two units, for those concerned about national defense construction, the strategic support force will be much more strange. When many people hear this name, the first reaction is the logistics support force, which is a big mistake! The strategic support force is actually a genuine combat force. It is nominally supportive. In many cases, it is the first open-minded pioneer to fight, even to enter the battlefield earlier than the land, sea, air force and rocket forces. According to the spokesman of the Ministry of National Defense, the strategic support force is a new type of combat force for safeguarding national security and an important growth point for our military’s new combat capability. It is mainly a strategic, basic, and supportive type. The support force is formed after the functional integration. Specifically, the strategic support force will include five parts: intelligence reconnaissance, satellite management, electronic countermeasures, cyber offense and defense, and psychological warfare. It is a combination of the most advanced corps, the net army, and other battlefields on the battlefield. More specifically, it is a combat force dedicated to the soft kill mission. This is also the adjustment of the military reform at the military level. The PLA is divided into the traditional land, sea and air force, the strategic deterrent and the attacking rocket army and the most modern “sky-net” army. The three levels of division of labor are clear, and they can strengthen each other. The synergy between the two, to maximize the advantages of the overall war, is undoubtedly the highlight of this military reform. Let’s take a closer look at the five major components of the Strategic Support Army. First, intelligence reconnaissance. This is not a spy war in the traditional sense. It is not like the old movie “The Crossing River Scout”, which disguise itself as a deep enemy. More is technical reconnaissance. With the increasing popularity of modern equipment, the leakage of various technical information is difficult to avoid, such as radio signals, electromagnetic signals, infrared signals, etc., through the collection and analysis of these signals, a large amount of valuable information can be obtained, strategic support forces The reconnaissance is mainly the technical reconnaissance in this respect, which can be carried out through modern equipment such as reconnaissance satellites, reconnaissance planes, drones, and sensors. Satellite management is the so-called “Heavenly Army”. This is a new type of force that has emerged with the rapid development of space technology, especially satellite information reconnaissance, tracking and surveillance, guided navigation and aerospace weapons. The United States established the National Space Command in 1985, marking the birth of the world’s first heavenly army. Russia subsequently separated the military space force and the space missile defense force from the strategic rocket army and established a space force with a total strength of about 90,000 people. 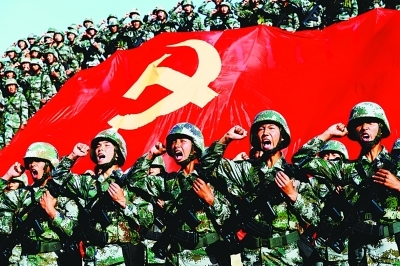 Then with the military reform of the People’s Liberation Army, the “Heavenly Army” under the strategic support force was formally formed and became a force dedicated to space operations in the future. The significance is significant. The history of electronic confrontation is much longer than that of the Tianjun. As early as in the First World War, both sides have had the information of the other party and the communication of the other party. To the Second World War, the means of electronic confrontation. Both the scale and the scale have been greatly developed. In July 1943, the British army used metal foil strips to interfere with the German radar in the bombing of Hamburg, Germany, which was considered the beginning of modern electronic confrontation. During the Middle East War in the 1960s, electronic confrontation played a decisive role. Under today’s technical conditions, there is no need to spend more on electronic countermeasures. Network attack and defense is also called cyber warfare. It is the rise of the network, exploiting the loopholes and security flaws of the network to attack and destroy the data in the hardware, software and systems of the network system. In 2001, there was a large-scale civil hacking incident between China and the United States, which stimulated the United States to a certain extent. By 2009, the world’s first cyber command was established. 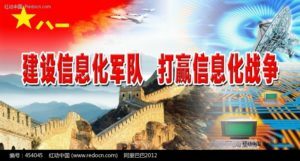 Through the opportunity of military reform, China has set up a specialized cyber warfare force and began systematically investing and developing in the fields of information construction and network attack and defense. This is a milestone for the future war, which is bound to spread to the network. meaningful. In the end, it is psychological warfare, that is, by applying the principle principle of psychology, taking human psychology as the battlefield, and systematically adopting various means, including the means of communication, such as the Internet, television, and broadcasting, which cannot be separated from modern life. Cognitive, emotional, and will exert influence, mentally disintegrating enemy military and civilian fighting spirits or eliminating the influence of enemy propaganda, thus combating the enemy’s mind, in exchange for the greatest victory and benefits at the least cost. Psychological warfare sounds very mysterious. In fact, as mentioned in “Sun Tzu’s Art of War·The Tactics”: “It is the victorious battle, the good ones who are not good, the soldiers who do not fight and the good, and the good ones.” The “war without a war” is the ultimate goal of today’s psychological war. In the Battle of Normandy in the Second World War, the Allies used a large number of psychological warfare methods, which seriously affected the judgment of the German commander-in-chief and made great contributions to the victory of the battle. Since then, from the Korean War, the Vietnam War, to today’s Iraq War and the Afghan War, the US military has had professional psychological warfare troops to participate in the war. Therefore, this is the most easily overlooked military means, but it is a high level of military struggle, and even more efficient and effective than advanced aircraft cannons. Therefore, it can be said that the strategic support force is the highest in the five major services after the reform of the PLA’s army. It can even be said to be completely different from the traditional war style of the past, and it is more characterized by ultra-modern flow. According to the strategy disclosed on the network, the armbands are supported on the network. The above is the eight-and-five-pointed star. Below is the triangular arrow and the electronic cloud orbit. Surrounded by the surrounding wheat ears, it can be seen from this pattern that the strategic support force is not a traditional one. In the sense of steel contest, you can’t see the scene of the smoke, and there is no such thing as a nuclear weapon to destroy the horror of the sea, but the soft kill of the soldiers. In a sense, soft killing is no less inferior than hard killing, and even playing a role is more important than hard killing. In contrast, until today, the US military has only independent scattered Tianjun, Net Army and psychological warfare units, but the PLA Strategic Support Forces have integrated these units directly in the preparation, and they are able to cooperate and play the greatest combat effectiveness. . It can be said that this major reform of the military, especially the establishment of the strategic support force, is definitely a major improvement in the system. Imagine that without the strategic support force’s satellites accurately positioned and navigated, without the electronic escaping forces and cyber warfare forces escorting, the Rocket’s strategic missiles will be difficult to function; if there is no strategic support for the technical reconnaissance intelligence support, Satellite communication links, then the land, sea and air forces on the vast battlefield are blind and deaf, and the combat effectiveness is greatly reduced. Therefore, the strategic support forces will play a major role in the invisible four-dimensional and five-dimensional battlefield space. In the past few years, the Chinese military and folk experts have set off a wave of research information warfare. After reading their works, it is not difficult to find that China’s information warfare theory research has several obvious characteristics: First, China is eager to develop its own information warfare theory, which is related to its judgment on its own security threats; secondly, China’s information War theory is deeply influenced by its traditional military command art. Both the ancient “Sun Tzu’s Art of War” and “Thirty-six”, or Mao Zedong’s people’s war thoughts have deeply imprinted in the information warfare theory; third, China’s cognition and classification of information warfare is obviously different. In the United States, the originator of information warfare, the United States, although similar to Russia’s information warfare theory, is only similar and God is not. The advent of the information age has prompted people to rethink the way war is carried out. China is aware that its conventional armed forces are far less powerful than superpowers. In the near future, neither conventional forces nor nuclear weapons can pose a powerful deterrent to the United States. However, the ambitious Eastern Dragon believes that with the advent of the information age, there will be new changes in the form of war, military structure, methods of warfare and command means, and information will replace people in the future battlefield. As long as the focus of strategic research is placed on the warfare of information warfare and grasping the trend of the times, it is not difficult to shorten the distance and further gain a leading position. In ancient China, there was a military book called “Thirty-six Meters”. One of them, “Wei Wei Zhao”, pointed out that if the enemy’s positive power is too strong, it should be avoided and it should be weak. The Chinese are used for the present, applying this strategy to the current struggle between countries – if you can’t launch a direct attack (nuclear strike), then fight information warfare, weak financial, electricity, etc. The network system starts. Although conventional armed forces cannot compete with the United States, China’s information warfare forces theoretically threaten the political and economic security of the United States. Americans cannot afford the instant of the New York Stock Exchange and the NASDAQ stock exchange. collapse. The global accessibility of information warfare and the spread of light speed are characteristics that nuclear war does not have. What Chinese want is to defeat opponents with the speed, accuracy and continuity of information warfare. The power of information warfare can make up for the shortcomings of conventional armed forces. The establishment of various battlefield information networks can not only improve the management level of traditional warfare, enhance the overall combat effectiveness of the troops, but also compensate for the shortage of conventional forces to a certain extent. In the eyes of the Chinese, the information warfare seems to be more powerful, and it is the force multiplier of the conventional armed forces. In 1996, Shen Weiguang, the earliest expert on information warfare in China, defined the information warfare as: “The warring parties fight for the battlefield initiative by controlling information and intelligence resources.” and the United States “protecting the friendly information system and attacking enemy information.” Compared with the definition of “system”, Shen Weiguang emphasizes “controlling” the enemy. In 1998, the Chinese military information warfare authority Wang saves the classification of information warfare: divided into normal time, crisis time, war time according to time; divided into attack and defense according to nature; divided into country, strategy, theater, tactic according to level According to the scale, it is divided into battlefield, theater, and local war. The characteristics of information warfare include command and control warfare, intelligence warfare, electronic warfare, psychological warfare, space control warfare, hacker warfare, virtual warfare, and economic warfare. In principle, information warfare measures such as cutting off, blinding, transparent, rapid, and improving viability. General Wang’s understanding of information warfare is closer to that of the West, and he focuses on the confrontation of advanced technology. Major military expert Wang Pufeng, who is another information warfare expert in the military, has a deep understanding of information warfare. In 2000, he distinguished information warfare from information warfare. According to his explanation, information warfare refers to a form of warfare, which contains information warfare, and information warfare refers to a kind of warfare activity. He believes that “information warfare includes all combat activities, including a series of intrusion activities and computer virus attacks on enemy information and information systems, such as information theft, tampering, deletion, deception, disruption, blocking, interference, and shackles. The network is not working properly.” He advocates that China’s information warfare theory should have its own characteristics while drawing on foreign advanced combat thinking. China’s perception of information warfare is very traditional. Many military theorists believe that the information age has given new meaning to Mao Zedong’s people’s war thoughts. Therefore, he advocates relying on and mobilizing the masses of the people to conduct online wars. It is conceivable that no matter which of the same family, playing online with 1.3 billion people is daunting. The most important feature of the Mao Zedong-style cyber war theory is that it breaks the boundary between the military and the people. The traditional dividing line between military and civilian facilities, military technology and civil technology has been blurred. The sharing of information technology in military and civilian use has created conditions for the widespread use of civilian technology for military purposes. For example, private electronic information equipment can be used for intelligence interception and transmission. Civil communication networks can be used for war mobilization; private computers can be used for network attack and defense. Second, the difference between military and non-military personnel is gradually disappearing. With the development of network technology and the expansion of application fields, a large number of network technology talents stand out. These network elites with special abilities will become gladiators in the future network people’s war. At the same time, information networks such as communications, transportation, and financial systems and international networking have provided the necessary conditions for China to carry out the people’s war. The power of the Internet People’s War is so terrible. Perhaps we can understand why the Chinese are willing to reduce the size of their armed forces. Imagine that once the war breaks out, China can launch a large number of people to participate in the war, information engineers and civilians will be organized through the home. When computers attack the US network information system, why should we maintain a large-scale combat force? In the past few years, China has conducted several major information warfare military exercises to test the information warfare theory. The first “special warfare” (information warfare) drill was conducted in October 1997. A group army in a military region was attacked by a virus designed to smash its system. The group used military anti-virus software to defend it. The drill was called “invasion and anti-invasion drills.” Ground logistics, medical and air force units were also used during the exercise. In October 1998, China held a high-tech comprehensive exercise jointly conducted by the three major military regions. For the first time in the joint defense operations exercise, the “military information highway” was used. The information network system in the command automation system consists of digital, dialing, command network and secret channel. The other parts of the command automation system are subsystems for command operations, audio and graphics processing, control, and data encryption. In October 1999, the PLA conducted the first battle-level computer online confrontation exercise between two group armies. Reconnaissance and anti-reconnaissance, interference and anti-interference, blockade and anti-blockade, air strikes and anti-air strikes. In the software environment, six types of operations such as resource sharing, operational command, situation display, auxiliary evaluation, signal transmission and intelligence warfare were carried out. The computer evaluation system performs data and quality analysis on the performance of both sides of the exercise. In July 2000, a military region also conducted an online confrontation drill. The three training tasks related to this exercise are: organizing and planning campaigns, seizing air and information rights, implementing breakthroughs and counter-breakthroughs. More than 100 terminals were connected to the walkthrough. China’s 1.5 million reserve forces are very keen on playing the online people’s war. In some areas, the PLA has compiled reserve forces into small information warfare units. For example, in Yichang City, Hubei Province, the military division organized 20 municipal departments (electricity, finance, television, medical, etc.) technical personnel to set up a reserve information warfare. The department has a network battle camp, an electronic war camp, an intelligence psychological war camp and 35 technical teams. The Ministry also established the first reserve information warfare training base in China that can accommodate 500 people. Yichang is not the only area where the reserve and militia are trained in information warfare. In December 1999, a reserve and militia meeting was held in Xiamen, Fujian. In the subsequent exercises, the militia detachment with high-tech equipment carried out electronic countermeasures, cyber attacks and protection, and radar reconnaissance performances. The goal of the imaginary attack is an island that is surrounded, so it is easy for outsiders to think of Taiwan. Xiamen is a special economic zone that brings together a large number of high-tech talents, so it has the superior conditions for implementing information warfare. In an exercise held by the Jinan Military Region, the Xi’an People’s Armed Forces Information Warfare Division played the blue party responsible for the attack. They developed 10 information warfare measures, including information mines, information reconnaissance, alteration of network information, release of information bombs, and dumping. Web spam, distribution of network flyers, information spoofing, dissemination of false information, organization of information defense, establishment of cyber espionage stations. It can be seen from these network information warfare methods that their research on network information warfare has been quite specific and in-depth. Chinese military experts also suggest that militia organizations at all levels should set up network technology professional detachments. In order to facilitate command and coordination, the militia network technology professional detachment should implement grouping and vertical management in the province or region. The reserve forces participate in the “network attack and defense” and “network technology guarantee” in the future war, and their actions must be implemented and unified by the military organization. The People’s Liberation Army Communication Command College is located in Wuhan. In 1998, the Institute published two books, Information Command and Control Science and Information Warfare Technology. These two books are the most important textbooks for information warfare education in China. The college enjoys a high reputation for its excellent information warfare tutorials, which analyze information warfare requirements at the strategic, operational, and tactical levels. The People’s Liberation Army Information Engineering University, located in Zhengzhou, was formed by the merger of the former People’s Liberation Army Information Engineering College, Electronic Technology College and Surveying and Mapping College. The school’s current main research areas are information security, modern communication technology and space technology, and exploration in some cutting-edge disciplines, such as remote sensing information technology, satellite navigation and positioning technology, geographic information database technology. The PLA University of Science and Technology, located in Nanjing, was formed by the merger of the former People’s Liberation Army Communication Engineering College, the Engineering Corps Engineering College, the Air Force Meteorological College and the General Staff No. 63 Research Institute. The school specializes in training military personnel in information warfare, command automation and other new disciplines. Nearly 400 experts and professors are engaged in information warfare theory and technology research at the university. The National Defense Science and Technology University of the People’s Liberation Army is located in Changsha. The school is directly affiliated to the Central Military Commission. Has developed the famous “Galaxy” series supercomputer. During the Kosovo War between April and June 1999, nearly 60 senior officers gathered here to study high-tech wars. The Naval Engineering University of the People’s Liberation Army, located in Wuhan, is the only institution in the Navy that studies information warfare. The purpose of the school’s research information warfare is to apply information technology to naval equipment so that the Chinese navy can adapt to information warfare. What conclusions can we draw from China’s information warfare research? What lessons can the US military get from it? First, Chinese military theorists have found a cheap and effective method of information warfare that gives China a position equal to that of the West in terms of strategic military and international status, thus enabling China to play a more important strategic role in the Asian region. Second, China’s emphasis on new information warfare forces is extraordinary. Therefore, it is possible to develop various forms of information warfare forces, such as: network forces (independent units), “network warriors” raid units, information protection units, information units, electronic police and joint network people’s war organizations. Interestingly, in terms of current capabilities, Western countries, not China, have the ability to put these ideas into practice. Third, China’s information warfare theory reflects the combination of Western and Chinese thoughts, and the influence of the former is getting weaker. Due to some common sources of military command art (Marxist dialectical thinking), China’s information warfare is more similar to Russia. However, by its very nature, China’s information warfare theory is different from Russia and the West. China’s information warfare theory emphasizes control, computerized warfare, cyber warfare, knowledge warfare, and information rights. Fourth, in the field of information warfare, China has crossed several stages of technological development, and using the technology of the Quartet has not only saved time but also saved money. 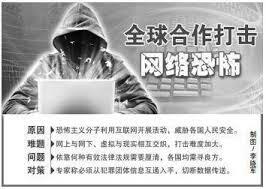 However, China does not fully emulate foreign countries, but adopts a creative information warfare strategy. But no matter what, China is a different information warfare force that is worthy of attention. For the US military, studying China’s information warfare theory is not just to provide the military with several opinions. “Sun Tzu’s Art of War” said that “knowing that he knows, has won every battle.” From the perspective of foreign information warfare theory to analyze the information warfare capabilities of the United States, we can discover the fatal flaws of the US information warfare system. As the Chinese say, the losers of information warfare are not necessarily technically backward, and those who lack the ability to direct art and strategy are most likely to be losers. It is time for the United States to reflect on its own information warfare and to study information warfare strategies and tactics. For nearly half a century, electronic technology and information technology have developed at an impressive speed, and thus have completely changed the style of modern warfare. Although people are accustomed to the sorting of land, sea and air when they talk about the dimensions of war, from the military technical level, the “network warfare” capability of “electronic warfare” and “cyber warfare” has no doubt that it has come to the fore. Become the first combat power. Who can dominate the electronic warfare, who can dominate the battlefield. It is a pity that this conclusion has not yet been universally accepted by the military. Carving a sword for a sword is a portrayal of the evolution of people’s understanding and the development of things. Today, when this round of military revolution is marked by electronic technology and chip technology, as the technology matures and the potential approaches the limit and comes to an end, the soldiers of most countries have a small tube and a smaller chip. It is possible to change the style of war and not yet fully prepared for the spirit and knowledge. This is an irony for human beings living in the age of information, especially those armed with informatized weapons. The individual representation of the appearance of the world makes people intuitively divide the whole world into parts to understand and understand. Even though electronic technology and information technology have long integrated the whole world into the grid space and welded into a “domain”, people are still accustomed to split it into different “domain” blocks. For example, many soldiers who are ignorant of traditional thinking take the battle space into five major dimensions: land, sea, air, sky, and electricity, and think that they will fight in these five dimensions. The grid space battlefield, in their view, is only one of them. Even in the concept of joint operations, which attempted to bring the five-dimensional space into one, the space and space warfare is only one of the combat areas and combat styles. It is completely unknown that the world has been “informed.” Such lag thinking can’t keep up with the pace of technological leap: the boat is far from the lake, but the sword sinks to the bottom of the lake. Those who can win and win in the future battlefield must be the army that observes and thinks, operates and controls all battlefields as a whole. Only in this way can we find the key to open the door to victory: who can control the grid space, who can control the battlefield; who can prevail in the space war, who is the winner of the war. This is the general trend that modern warfare can not be reversed today. Electronic warfare (which has evolved into information warfare or cyberspace warfare today) is a prerequisite for all modern battles, battles and even wars. In contrast, air supremacy, sea power, and even land and power, have handed over the first battle of the future battlefield to the power of the grid. Moreover, the struggle for the right to heaven is itself part of the power of the network. In Deng Shiping’s words, modern warfare, “there is no air superiority, and no one can beat it.” Yes, in the future war, there is no power to make electricity in the net, and nothing can be beaten. Today, it is proposed to use the “air-sea battle” concept to contain China’s US military. It is a military machine that is almost fully informatized. Therefore, the US military knows that informatization is its strength and its shortcomings. Short and short, whoever has the advantage of space and space warfare, who can restrain the US military. Some people may ask, is it from a military point of view that the space warfare is so important that people think it is more important than firepower? Yes, this is the author’s answer. Because when your opponent has been fully dimensioned, it will either be better than the opponent’s network space warfare, or defeat the war first, and then the firepower war will only destroy the opponents who are still unwilling to admit defeat. The process of physical digestion. Why is the space warfare so important? In fact, all of our main rivals have their strengths in all-dimensional informationization, and all their shortcomings are over-informatization. The shortcoming of informationization is that there is no chip-free, thus forming chip dependence. The chip makes the weapon platform ammunition stronger, but it is also extremely fragile. An electromagnetic pulse bomb can destroy all electronic components within its explosive coverage. This kind of scene makes the opponent who is armed with the chip to the teeth very scared. For us, what we fear the opponents should be our priority to focus on development. If you play against a full-dimensional informatization opponent, the opponent is most worried about: one is attacked by the network, and the other is destroyed by the sky-based system. Because this will make the hardware advantages of all weapon platforms meaningless. Although our opponents also have this ability, once both sides use this ability to smash opponents, it means that the two sides will return to World War II. At that time, who has the advantage of population, who has the advantage of resources, who has the advantage of manufacturing, who has the advantage of war. Seeing this clearly helps us to get rid of some kind of paradox: the more we understand the military system of our opponents, the more we worry about the gap in our military system. The more we recognize the gap, the more we want to learn to catch up with our opponents. The result is what the opponent has, I There is also something to be. In the end, I forced myself to a dead end with the strength of the opponent and the length of the opponent. How can this road lead us to “can fight, win and win”? Ancient and modern Chinese and foreign, whereever wins, all of them are short of my enemy, even if it is hard, it is the longest attack of my enemy. There is a winner who wins the enemy with the enemy. Moreover, winning the war in the future cannot be achieved at all costs. For China, there should be a requirement that is as important as victory. Weapons and equipment development and operational plan development must consider how to reduce costs. Never have anything for the opponent, we must have something. You can’t do it with the Dragon King, and you can’t become a local tyrant. You can’t compare it with the Dragon King. Today, we have some cognitive defects on how to win the overall war of local war under informatization conditions. We always consciously and unconsciously think that playing high-tech wars is a high-cost war, and we always want to compare costs with our competitors. And fight costs. In fact, we can completely change the way of thinking, that is to take the low-cost route. There are no heavy aircraft carriers, there is no X37, there is no global fast strike system, the opponent does not care. It only cares if you can destroy its satellite system and lick its network system. After all, the tools and means of attacking satellite weapons and electromagnetic pulse bombs are not very expensive and scarce, and their effects will be low-cost and high-yield. We can’t help but fall into the arms race with our opponents because we are worried about the gap between ourselves and our opponents. The Americans said in the “air-sea battle” concept that “we will drag China into the competition with us in this way, so that the Chinese will put more energy into the production of such missiles such as Dongfeng 21D. Then use a lot of bait and deception to force the Chinese to consume these weapons in a meaningful direction.” In this regard, someone in the country wrote an article reminding us that “we must prevent falling into the trap of the United States.” This is not wrong in itself, but it still belongs to only know one, and I don’t know the other. It is important to know that after such articles come out, it is very likely that our understanding will produce new deviations, because there are “trap traps (ie double traps)” in the above-mentioned American discourse. First, it attempts to lure the Chinese army into the trap of an arms race. If you compete with the US military, you will spend a lot of money and resources to follow the US military and not to surpass; secondly, if you realize that this is a trap and give up the competition, you will immediately fall into another trap: since giving up the arms race Waste martial arts. For China, if we are not willing to compete with our opponents and we are not willing to squander martial arts, what should we do? The conclusion is that we can only go our own way. To develop our own strengths and develop the things that are most beneficial to me, it is best to use my strength and defeat the enemy. At least it must be my long, the enemy’s long. I can’t do it with my short enemy, and the enemy’s long enemy will not do the same. With the enemy’s long attacking enemy, you will never win. Take a look at the main design of the “Air-Sea Battle”: the opening is to hit your space-based system, let you blind; then hit the “reconnaissance war”, let you call you; then come to officially start a regular battle with you. The first is satellite anti-missile capability. This ability will lead to a serious reliance on informatized opponents, making them blind, defamatory, and dumb, so that they can only return to the level of World War II to compete with conventional forces. The second is the ability to remotely play. You must ensure that you have the ability to sink high-priced targets like aircraft carriers. If such a high-priced target is sunk, it will seriously undermine the confidence of investors around the world against the opponent, so that the capital does not dare to invest in it again, resulting in a serious war financing dilemma for the opponent. This is the national weakness of the opponent’s combat planners who are not aware of it. The confidence of the sinking aircraft carrier in global investors will be a huge blow, which will interrupt the opponent’s global capital chain. The third is that there must be a network space combat capability. Especially the ability to attack any network system of the opponent. If China and the powerful opponents are really fighting, you must demonstrate your ability and determination to attack and smash all of the grid system from the very beginning. This is a necessary way to contain war by deterrence. The reason is always easier said than done. How to get the power of the network in the future war, or to offset the advantage of the opponent’s network warfare? It is necessary to make yourself technological progress. But what is more necessary is the progress of thinking. The long history of evolution proves that human beings are not always in a state of thought progress in the coordinate system of time. Degradation will happen from time to time. The degradation of thinking is sad, but consciously pull the pair back to the “old battlefield”, that is, to offset the opponent’s informational combat capability, so that the opponent’s technical advantage is lost, and thus with us to return to a certain historical stage of combat, At that time, it is a feasible idea to give full play to my own advantages. Focusing on local wars under the conditions of informatization and vigorously strengthening preparations for military struggle is a successful experience and an important guiding method for army building and a major strategic task for our military. Strategic tasks are numerous. 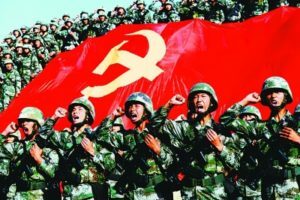 In accordance with the established decision-making arrangements of the Central Military Commission, the People’s Army has made strides toward preparing for a new journey in military struggle. New China has gone through nearly 60 years of history. For decades, the country once had a strong enemy and a crisis, but it has always stood firm and unyielding. There are many successful experiences. One important one is to prepare for a comprehensive and solid military struggle. It can be said that it is precisely with the people’s army “always ready” that it has built the steel great wall of the motherland’s security, safeguarded the happiness and tranquility of the people, and guaranteed the prosperity and development of the economy and society. Looking back on the stormy journey of preparations for military struggles for decades, behind the glory of achievements, we must also clearly see places that are not scientific enough. For example, many units are preparing for military struggles, overemphasizing specific threats in guiding ideology, relying too much on “situational stimuli”, causing the level of combat readiness to be weak and strong, and the construction of combat effectiveness to be high and low. The preparation for military struggle has not maintained autonomous and healthy. development of. When things happen, things change, things change. At present, the preparations for military struggle are standing at a new historical starting point. The national security situation has undergone complex and profound changes. On the one hand, the traditional security threats and non-traditional security threats we are facing are increasing. The world’s major powers are increasingly competing in geostrategic competition around the country. The political situation in neighboring countries continues to be turbulent, and there are many hidden dangers in the regional security environment. The domestic separatist forces and their activities are rampant, the instability and uncertainties affecting national security are increasing, and the preparations for military struggle are facing unprecedented challenges. On the other hand, international unilateralism is frustrated, and the financial crisis has delayed global hegemonic expansion. The situation has been significantly eased, my main strategic direction has eased, and the preparations for military struggle are facing unprecedented opportunities. This opportunity is both strategic and historical. How to seize the opportunity, use the opportunity, and take advantage of the momentum is a realistic proposition that needs to be answered in preparation for the current military struggle. After 30 years of reform and development, our military has undergone a qualitative leap, with more comprehensive and informatized units, more technologically intensive and quality-efficiency features, and a wealth of achievements and advances in military struggle preparation. basic condition. Entering the new stage of the new century, President Hu focused on the special requirements of the party for national defense and army building, and endowed the military with the historical mission of “providing three to provide and play one”, emphasizing that “our army must enhance its ability to win local wars under conditions of informationization.” At the core, we are constantly improving our ability to respond to multiple security threats and accomplish diverse military tasks.” This series of major strategic ideas has adjusted the basic point of preparation for military struggle and expanded the task of preparing for military struggle. The establishment of this important guiding principle of the scientific concept of development puts forward higher requirements for the pursuit of military struggle, and is based on comprehensive, coordinated, sustainable development and people-oriented standards. There are still many ideas that need liberation, and many jobs. Innovation is needed and many aspects need to be improved. In order to advance the preparations for military struggle under the new situation, we must seek changes based on the situation and make decisions based on the situation, and base ourselves on a new starting point for new development. We should strengthen preparations based on threats, strengthen all-round “threat awareness” and “enemy feelings”, fully recognize the grim reality that war is not far away and not only one, and unswervingly push forward preparations for military struggle. The task of the military should be based on the preparation of the task. The fundamental task of the army is to fight and prepare for war. You can not fight for a hundred years, but you can’t relax for a moment. You must comprehensively and systematically advance the preparations for military struggle in accordance with the standards for effectively fulfilling its functional mission. Based on the ability to prepare for the situation, jump out of the passive emergency preparedness mode led by the enemy, actively design the future war, plan and plan to improve the ability to deal with multiple security threats, complete diversified military tasks, and steadily and scientifically advance the preparations for military struggle. Without a focus, there is no strategy, and without a focus, it is difficult to break through. Making full use of the important strategic opportunity period and grasping the key content to seek breakthroughs is not only an objective requirement to follow the inherent laws of military struggle preparation, but also an urgent need to comprehensively improve the actual combat capability of the troops. As the most basic practical activity of the armed forces in peacetime, military training is the basic way to generate and develop combat power and is the most direct and effective preparation for military struggle. It is necessary to further raise the awareness of the importance of military training, effectively put military training in a strategic position, and truly form a new upsurge in the military training and vigorously promote the transformation of training. We should seize the key link in the formation of joint training, strengthen joint consciousness, improve joint quality, improve joint training regulations, improve joint training mechanism, and promote military training from form to substance. Training should be carried out in a complex electromagnetic environment as an important entry point and grasper, actively explore effective methods of organizing command training, combat technical countermeasures training and weaponry operation and use training, and accelerate the military training under the conditions of mechanization under military training conditions. change. We should use the mission subject training as a carrier to actively construct a battlefield environment that is close to actual combat, and explore the main methods of confrontation training, field training and base training, simulation training, and network training, with the test of truth, difficulty, and reality. Standards, taking the test, comparison, and pull as the practical training path of the implementation mechanism, enhance the effectiveness of training. Non-war military operations training should be actively carried out to improve the professional skills of non-war military operations and enhance the ability of the troops to complete diversified military missions. Man is the most active and active element among the elements of combat effectiveness. Talent preparation is the most important and arduous preparation in the preparation for military struggle. The victory of the war depends on the battlefield, but the link that determines the outcome is in the usual competition, the focus of which is talent. At present, the key is to highlight the two “strategic graspers” of joint operational command talents and high-level professional and technical personnel, and to promote and promote the overall development of the talent team’s capacity building. Highlight the training of joint operations command personnel, focus on establishing and improving the training mode for commanders at the strategic level, focus on improving the training system for joint operations personnel, reform the content and methods of joint operations, increase the rotation and cross-training of commanding officers, and intensify joint operations. Strengthen emergency response and improve the relevant measures. Highlight the cultivation of high-level professional and technical personnel. In accordance with the principle of focusing on the key points, taking into account the general, grasping the leading, and driving the whole, we will focus on cultivating scientific and technological leaders who can organize major projects in interdisciplinary fields, and can guide the promotion of academic and technological innovation and development of top-notch talents, and can solve the complex technical support of equipment. The technical experts of the puzzles provide strong intellectual support for the construction of information technology. The speed of the soldiers is the iron law of war guidance. Under the conditions of informationization, the “speed advantage” is emphasized. Rapid response capability has become an important indicator of the level of combat readiness and actual combat capability of an army. A sensitive and efficient emergency command mechanism should be improved. On the basis of summarizing the practical experience of our military in completing various military tasks in recent years, we will do a good job in solidifying and transforming relevant results, establish an emergency mechanism, improve laws and regulations, improve institutional setup, formulate response plans, and organize relevant training to ensure that once something happens. Quick response, efficient command, and correct action. An advanced and reliable command information system should be established. According to the requirements of good interoperability, responsiveness, security and confidentiality, and information sharing, an information network with vertical and horizontal to the edge and a comprehensive and simple command system are established, relying on information technology to improve emergency command and rapid response capability. Grasp the characteristics of strategic investment capacity building, focus on the development of strategic transport aircraft (ships), military helicopters and new types of aircraft, take into account the construction of traffic battlefields, explore the establishment of a smooth and efficient command and management mechanism, and promote the strategic transport capacity building as a whole. Security is also a fighting force. Any combat action in modern warfare is a systemic confrontation, and the requirements for comprehensive guarantees are getting higher and higher. To advance preparations for military struggle, it is necessary to comprehensively improve the comprehensive support capabilities such as operational support, logistics support, and equipment support. Our military has always paid attention to the coordination and promotion of combat forces and the construction of combat support forces. The support capabilities of reconnaissance and early warning, command and communication, surveying and mapping, meteorological and hydrological, and engineering defense have all been simultaneously improved. However, with the development of the situation and the continuous expansion of the battlefield space, the battle support capability system has begun to appear a new “short board”, which must be completed as soon as possible to form the overall advantage of the joint operations of the full-dimensional battlefield. The focus of logistics support is to improve the level of modernization. In accordance with the requirements of the development of the times, we will steadily implement the logistics reform, and promote the security system to the integration, the security mode to the socialization, the security means to the informationization, the logistics management to the scientific transformation, and promote the sound and rapid development of logistics. The focus of equipment support is to strengthen supporting construction. Improve the ability of independent innovation, accelerate the development of new weapons and equipment, and continuously optimize the structure of our military’s weapons and equipment. Pay attention to equipment system support, system support and support construction, improve equipment serialization, generalization, and standardization level, gradually promote equipment into system to form combat capability and support capability, and accelerate the establishment of weapons and equipment for military-civilian integration and military integration. Scientific research and production system and maintenance guarantee system, further improve the way of military and civilian integration and development of equipment. To advance the preparations for military struggle at a new starting point, we must adhere to the scientific development concept as a guide, and effectively use the way of thinking that meets the requirements of the times to explore the development path for the preparation of innovative military struggles. Continue to emancipate the mind and advance the preparations for military struggle in the tide of military reform. The deeper the preparations for military struggle, the more deep-seated contradictions and problems that touch on development concepts, institutional mechanisms, policies and systems, and the greater the difficulty of advancing. The fundamental way to solve these problems lies in continuing to emancipate the mind and deepen the reform of national defense and army building. The strategic goal of the military reform is to build an information-based army and win an information-based war. This is consistent with the basic point of preparation for military struggle. Preparation for military struggle is the leader and traction of military reform. Military reform is an important content and optimization condition for military struggle preparation. The two goals are consistent and mutually reinforcing. Therefore, in order to advance the preparations for military struggle under the new situation, we must combine the promotion of national defense and military reform, take the improvement of combat effectiveness as the starting point and the foothold of reform, unify the reform thinking with combat effectiveness standards, measure reform measures, test the effectiveness of reforms, and promote reforms. Preparation for military struggle. Strengthen scientific co-ordination and coordinate the preparations for military struggle in the process of military modernization. The modernization of the military is a big system, and the preparation for military struggle is the key to taking the initiative and moving the whole body. When the military struggle is ready, it will provide clear and specific needs for the overall development of our military’s modernization drive, provide a real grasp and form a huge traction force. We must stand at the height of the overall development of the military’s modernization drive, effectively coordinate the relationship between the primary and secondary, far and near, construction and use, turn the process of preparation for military struggle into a process of strengthening the modernization of the military, and transform the process of military modernization. In order to serve the military struggle preparation process, the two will promote each other and coordinate development. Adhere to information-led and innovate to advance military struggle preparations in the transformation of combat capability generation mode. At present, information technology is profoundly changing the combat generation model, and it is also changing all aspects of army building. To advance the preparations for military struggle, we must be keenly adapted to this new situation, take the initiative to jump out of the mechanized mindset, strengthen the information-led concept, focus on relying on scientific and technological progress to improve combat effectiveness, and explore innovative military concepts, military technology, military organizations, and military that meet the requirements of informationized warfare. Management, focus on improving the level of informationization of military personnel training, weapon and equipment development, and the best combination of man and weapon, accelerate the transformation of military training, gradually establish an effective mechanism for the formation and improvement of new combat capabilities, and promote the preparation of military struggle to achieve a qualitative leap. Highlight the actual combat and accelerate the preparation of military struggles in completing various military tasks. Practice tells us that no matter how the international situation evolves, how the military’s functional mission expands, and how diversified military tasks are, it is always the top priority of our military to contain wars, win wars, and maintain peace. Local war is always the core task of our army. Only with the core military capabilities and a diversified military mission can there be a solid foundation. We must always put the core military capabilities at the forefront, aim at the fundamental functions and promote comprehensive preparations, and do more preparations without “single-on-one”, sorting preparations rather than “one size fits all”, deep preparations instead of “surfaced”, and efforts to make troops Ability to adapt to various conditions, respond to various situations, and complete diverse military tasks.